It’s the season of events here in North Devon! The Appledore Book Festival starts on the 27th September and looks fantastic. The festival has grown from strength to strength over the last seven years and now has many household names as well as local people leading events. It goes on until 6th October. Rosie Godfrey has brought another writer event at the library to my attention. Peter Tickler will be giving a talk about his work. Peter is a crime writer, and author of several books such as Blood on the Marsh and Blood on the Cowley Road. Rosie writes: “Again, we are very fortunate to have the backing of the library to make these events possible. Do please come if you can, even if it’s not your particular genre, you can always learn some useful tips/insights and it makes future events more likely.” Thank you, Rosie. The event is at Barnstaple library, Tuesday 15th October, 6.30-7.30pm in the Henry Williamson room (second floor). Tickets are £2.50 from the library in advance. I shall definitely try and be there! Literature Works still have a few days to run on their first page competition. This is a brilliant opportunity for local writers. All you have to submit is the first 300 words of a novel and a 150 word synopsis of where the story is going. (You should have written the first three chapters by the time the competition is judged). You have until the end of the month – good luck! Another date for your calendar. I will be running a book event at Barnstaple library myself on 12th November, more details later. I shall be talking about getting your writing on the publishing ladder, from local publications to getting work noticed commercially. 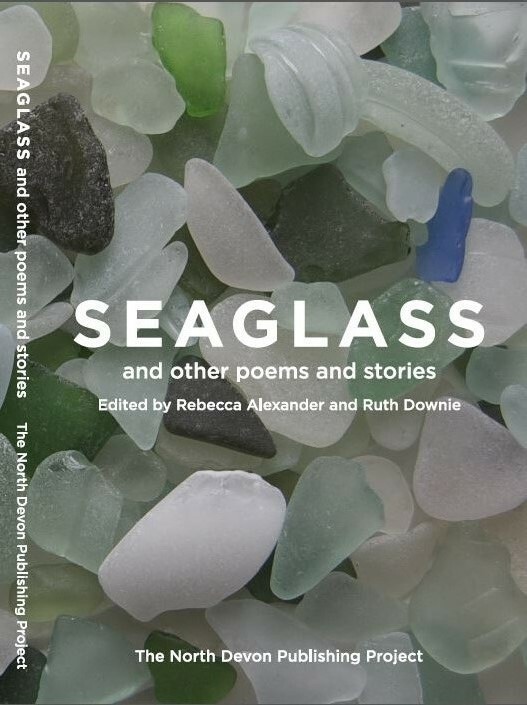 I shall also be launching the North Devon Publishing Project’s 2014 Anthology, and calling on local writers to think about how they would develop and showcase their own writing. And of course, I will be talking about my own book, The Secrets of Life and Death out on 10th October! There is a 20 book giveaway with Goodreads on my new website now. For those library writing group members thinking about coming on the blogging workshop, I’ve written about the writing cyber community at Mslexia this month. The free workshop to get you blogging is at Barnstaple library on Saturday 28th at 10.30 am. Book through me at reb@rebecca-alexander.co.uk. It’s free, and on the first floor IT Training suite (not the IT room just inside the door, you walk through the library, first floor, on the left hand side).